Long before the seasonal onslaught of pumpkin beers marked the turning of the seasons, like 1810 long before, German beer lovers were celebrating Oktoberfest, a sixteen or seventeen day fair held in Munich that ends on the first Sunday of October. While the origins of the fest had more to do with royal weddings and the celebratory trappings of Bavarian culture – food, music, dancing, parades, games, costumes etc. the modern incarnation is really best known, for better or worse, as a bit of a piss-up. However, despite the presence of what is locally known as beer corpses (overtly drunk patrons) the beer in those extra big steins really does deserve some reverence. Oktoberfest beers, true Oktoberfest beers that is, are strong caramel forward creations, low on hops and high in sugar, that must conform to the Reinheitsgebot (German Beer Purity Law) and be brewed within the city limits of Munich. 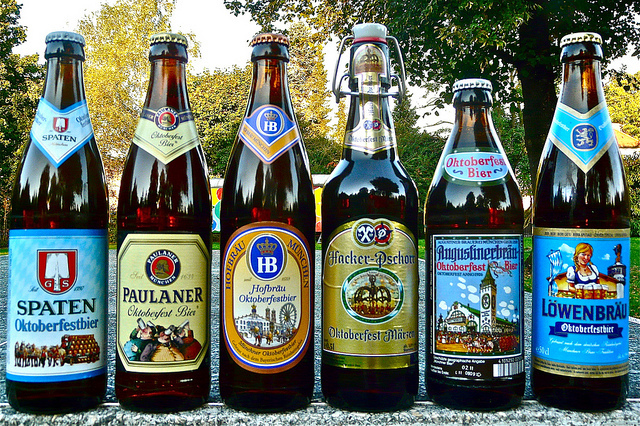 Presently, there are six breweries that meet the criteria to produce traditional Oktoberfest beers. Like many traditions, as the popularity of Oktoberfest broadly, and Oktoberfest beer specifically, went global the essence of the beer style evolved. In Tasting Beer, Mosher suggests there has been a general trend towards producing drier and paler versions of Oktoberfest beers. As Oktoberfest beer changed Marzen beers came to stand-in for the traditional and Oktoberfest the modern interpretation. 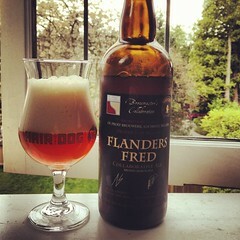 Nonetheless when you grow weary of pumpkin pie spices try a beer that is and always has come to typify the fall season. This entry was posted on Friday, October 4th, 2013 at 1:06 am	and tagged with Beer History, Marzen, Oktoberfest, Oktoberfest Beers and posted in Beer History, Marzen, Oktoberfest. You can follow any responses to this entry through the RSS 2.0 feed.